A list of astrological and astro-philosphical books by author Dane Rudhyar. These are considered major literary works which are currently still available for purchase. RUDHYAR, Dane Astrological Aspects $14.21 Astrological Aspects: A cyclic & holistic approach to aspects including chapters on retrogradation, rectangular & triangular aspect patterns, seeing the horoscope intuitively as a whole, yods, and much more. RUDHYAR, Dane Astrological Houses, The: The Spectrum Of Individual Experience (Temporarily unavailable) $12.95 Astrology Houses: Interpretation guidelines for each planet in each house; explanations of sign pairs on Ascendant & Descendant; an exploration of the houses as a complete cycle of individual experience. Excellent! 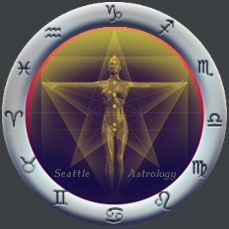 RUDHYAR, Dane An Astrological Triptych: Gifts of the Spirit, The Way Through, and The Illumined Road $12.33 Spiritual Astrology: Provides a penetrating, sensitive, poetic and visual insight into the 12 qualities required for the spiritual life, for astrologers and non-astrologers alike. RUDHYAR, Dane An Astrological Mandala: The Cycle of Transformations and Its 360 Symbolic Phases $10.20 Degree Analysis: An original reformulation of Marc Edmund Jones' Sabian Symbols, expressed as an astrological degree mandala. Includes instructions on the best way to use this breakthrough astrological technique. RUDHYAR, Dane Astrology of Personality: A Reformulation of Astrological Concepts and Ideals in Terms of Contemporary Psychology and Philosophy $18.96 Psychological Astrology: The main purpose of astrology is not to predict events in terms of statistical probability, but to bring a message of order and meaning of individual life and struggles. To transform chaos into cosmos. RUDHYAR, Dane The Astrology of Transformation: A Multilevel Approach $14.00 Transpersonal Astrology: Presents a vision of astrology as an alchemical tool for transforming the self. Practical applications are described in terms of the astrologer-client relationship, transits, progressions, and principles of transcendence. RUDHYAR, Dane Lunation Cycle: A Key to the Understanding of Personality $15.25 Astrological Aspects: Explains the use of the lunation cycle as a dynamic pattern of relationship. Covers the Sun and Moon in their cycles, part of fortune, the rarely talked about part of spirit, planetary cycles, progressed lunation cycle and more. RUDHYAR, Dane Person Centered Astrology $15.56 Holistic Astrology: Lucid & inspiring material on the purpose of astrology in New Age guidance and the difference between an event-oriented approach and a person-centered view. RUDHYAR, Dane The Planetarization of Consciousness $22.95 Astrological Philosophy: A major philosophical and psychological work. The concentrated outcome of a lifetime of thinking concerning the most basic problems of human existence as it relates to astrological thinking. RUDHYAR, Dane Rhythm of Wholeness: A Total Affirmation of Being. (Temporarily unavailable) $29.95 Astrological Philosophy: Rudhyar's philosophical and metaphysical magnum opus. The culmination and summation of Rudhyar's philosophical work, this magnificent and accessible volume is a must read for anyone wishing to understand Wholeness in its fullest sense. From 1983, out-of-print for several years.